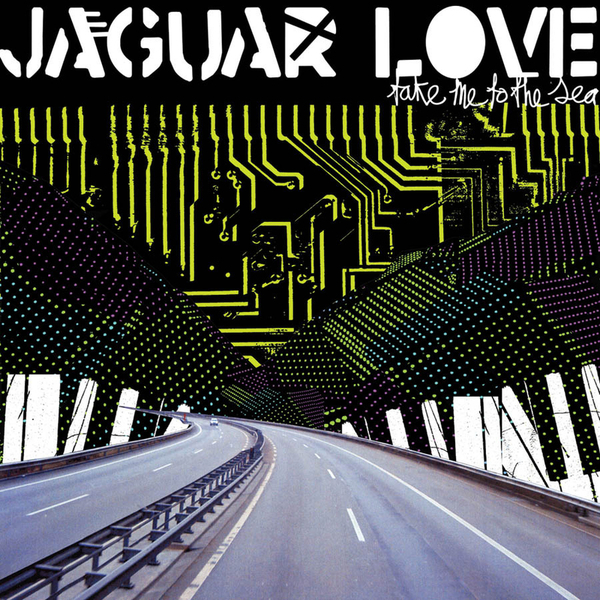 Jaguar Love is a band that brings together ex-members of Blood Brothers (singer Johnny Whitney and guitarist Cody Votolato) and Pretty Girls Make Graves (Jay Clark) for an album of angular indie retakes on classic rock, glam and hyperactive pop. The first thing to strike you about this band is the crazed, helium-fuelled vocal supplied by Whitney, which sounds somewhere between Quasimoto and Journey's Steve Perry. A big part of the band's charm resides in that squeaky holler, which completes the cartoonish quality suggested by the full-on rock posturing of the instrumental components. It constantly teeters on wailing out of tune throughout the course of 'Bats Over The Pacific Ocean', but thankfully the lavish, energetic production keeps the hooks flying thick and fast, and so the unstable vocal only adds character to an otherwise meticulously oiled pop machine. Jaguar Love occasionally dabble in electronics, resulting in the merrily fluttering beatboxes and zinging synths of 'Humans Evolve Into Skyscrapers', but it's when they embrace their crunching classic rock predilections that this band are in their finest form, sounding like a speeded-up Raconteurs playing a lost '70s Elton John power ballad, on the brilliant 'Georgia'.